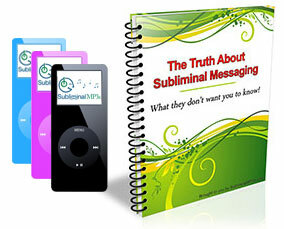 Free yourself from self-imposed limitations and become a happy, success driven person with help from this subliminal album. Are you stuck in long held negative patterns of behavior? Do you find it difficult to break free from a bad habit - procrastination, drinking, overeating, smoking…? Do you feel like you’re working against yourself, but you’re unable to resist? Would you like to break free from this circle of negative behavior and to feel positive and confident again? Indulging to your negative habit is comforting, but you know that it’s nevertheless destructive. You keep fooling yourself that you’ll feel better if you continue giving up to it just for a little while… but it actually causes you to feel guilty, to feel like a failure later. This behavior keeps repeating, and you feel like there’s nothing you can do to help yourself. Often, it’s a matter of low self-belief which causes you to unconsciously sabotage your success so that you don't really have to blame yourself - there is always some external factor which caused the problem, upset you, or stopped you from being successful. You can break free from this circle! Sometimes change is scary, and your mind has got used to thinking in a certain way that makes it feel cosy and safe. It knows the change is needed, but it perceives it as difficult and something that will take a LONG time for you to achieve - so it chooses the immediate comfort because it's easier. The trick is to change the way your mind thinks about indulging to your habits. What you need is to realize that the behavior you're engaged in (be it procrastination or drinking or any other negative pattern) is only keeping you from being a successful person - personally or professionally, and to just erase from your mind the option of immediate satisfaction (which is only preventing you from getting there). This album will help you to “change” your mind. It contains powerful subliminal statements that will help you to become success driven instead of going back and forth all the time. 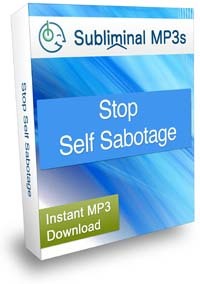 These messages will help you to eliminate your self sabotage at the source - your subconscious mind, stimulating the positive way of thinking. Get out of the magic circle of unwanted behavior. You will become more aware of where the unwanted behavior is coming from, and you’ll learn to recognize it when it starts to appear. You will be in complete control of your thoughts, cultivating only those that make you want to move forward. Accept and embrace the change that you’ve been waiting for. Instead of just thinking about how great your life could be if only you could remove the negative behavior pattern - you'll be driven to actually do it. Become free to pursue success in all areas of life. With the negative behavior not holding you back anymore, you will have no distraction on your way to success. Start using this album today and you will begin to push yourself further, put yourself into new situations, and go further than ever before towards your personal goals and changes you want to make. This album works very well combined with our self help album.